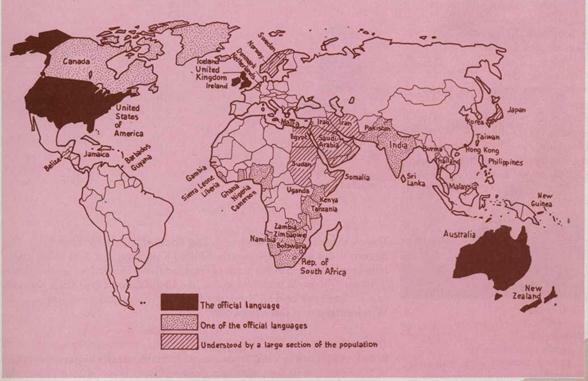 Look at the map of the English-speaking world. Check up your answers. Model :The Englishlive in England. They speak English.